Tiffany's Online Finds and Deals: Save on Dab and Dot art supplies! Save on Dab and Dot art supplies! Clip the $2 OFF coupon to grab it at this price. 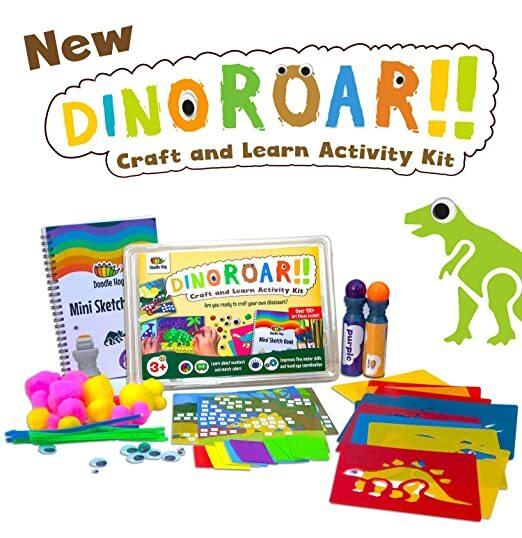 Great arts and crafts kit for kids! Grab this 6 pack of metallic Dab & Dot markers for ONLY $9.99 at Amazon when you clip the $5 OFF coupon! Most kids LOVE these! Great stocking stuffer for kids! 6 Bright Metallic Colors: Dab and Dot Metallic markers come in a set of six dabbers in colors - silver, yellow, blue, green, purple, and red. 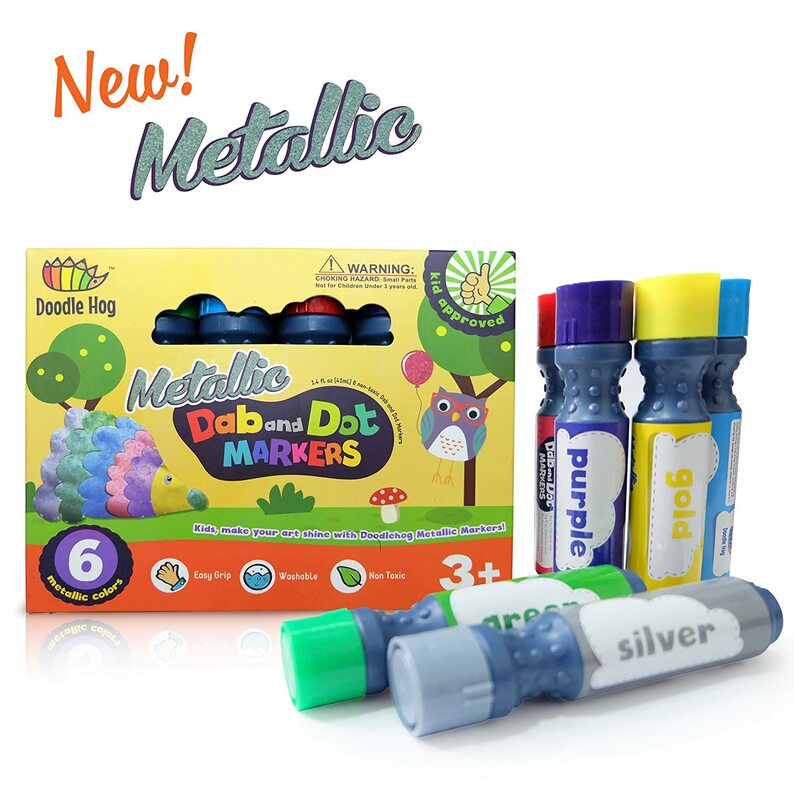 NO MESS SHIMMER Just like our popular Dab and Dot Markers, this set of Metallic Markers is easy for hold for little fingers and mess free paint but in amazing metallic ink. Create metallic dots and doodles without using glitter glues or having to deal with glitters. The ink dries quickly. WORKSHEETS or INSTANT ART Use guided worksheets with predefined dots or let children be their own little artists. Allow kids to use their imaginations to create their own unique designs. The Dab and Dot markers makes a big round dot so preschoolers can instantly make a piece of art or craft they can be proud of. LEARN A-Z SUPERHERO WAY Download our free Superhero A-Z dot worksheets or purchase a companion travel workbook with 26 pages of unique fun alphabets. Search for Dab and Dot Markers Superhero ABC Workbook. DESIGNED FOR LITTLE HANDS When it comes to spending time together with little ones, we look for opportunities to grow together while developing independence. Our products help kids and parents spend time together while fostering creativity, independence, and imagination. Designed for little hands and big imaginations, we know your child will love daubing and dotting with you.